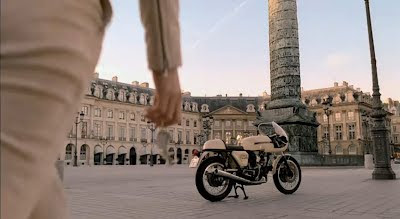 Last year, Chanel released the full version of a television commercial for a perfume that features Keira Knightley riding a classic beige 1973 Ducati SuperSport 750 in the streets of Paris, France. Keira’s motorcycle gear includes a matching beige Ruby helmet and motorcycle suit—a great café racer look. Watch the full television commercial below to see a beautiful woman on a classic Ducati café racer.